"The loss of body parts has always fascinated me. I run across many such cases in my study of early modern medicine. 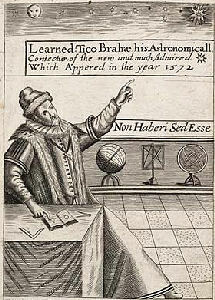 Tycho Brahe, better known for his astronomical interests, is one of the more famous victims. As a youth of the Danish nobility, he was permitted to carry a sword and had a habit of using it in tavern brawls. In one such incident he failed to parry and paid with his nose, clipped right up to the septum." One may not think a man of science to have much of a temper, but Tycho became famous for his. It was a character trait that has given history its second most famous aspect on the life of Tycho Brahe. If anything can be said regarding the incident in whcih Tycho lost part of his nose, it is that the duel in which it occurred has become as well known and recorded as is his extremely accurate records of naked-eye star observations and the second most notable and written fact about Tycho. The story's notoriety and longevity is all the more interesting in that the incident lasted, at most, a minute, its history usually over and done with in less than a paragraph and in a few writings, it appears only as a footnote. At left is a portrait of Tycho Brahe clearly showing his damaged nose. Additional portraits of Tycho can be found at the MacTutor History of Mathematics website at the University of St. Andrews in Scotland. What is probably the most historically relevant outcome of this incident is that neither seemed to begrude the other in any way. The hostility between the two ended with the duel, Parsberg eventually becoming one of Tycho's major supporters under the Danish King Christian IV. 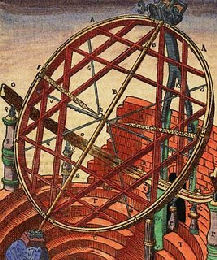 In 1568, having returned to Rostock, Tycho began almost immediately to make recorded observations. Since he was still bereft of any instruments at this time, Tycho had to be content with simply jotting down the positions of Jupiter and Saturn in relation to the stars. On May 14 he was given, under the hand of King Frederick II, a formal promise of the first vacant canonry. 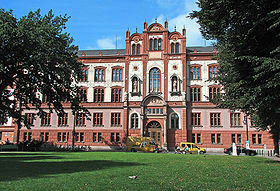 Towards the last portion of the year, Tycho returned to Wittenberg and was in Basle where he was enrolled at the University, remaining there until the early part of 1569. Tycho eventually settled at Augsburg, the city most dear to Protestants at the time due to its position as center stage for that era's reform movement under the 1555 Peace of Augsburg settlement. It was here that saw Tycho constructed his first of many observing instrument; it was his opinion that those at hand were just too simple for accurate scientific purposes. 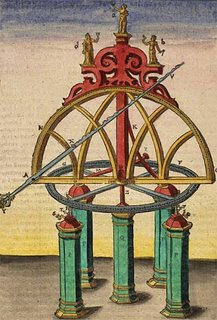 In collaboration with Paul Hainzel, they built a large azimuthal quadrant ( used to measure the heigth of stars ) of about 19 feet, erecting the device on the top of a hill on Hainzel's estate in Göggingen, where it remained until destroyed by a storm in December of 1574. 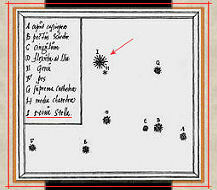 The quadrant was used to measure the "new star" ( supernova ) of 1572 and a handful of fixed stars. It was during this period that Tycho made the acquaintance of a few of the more notable and forward thinkers of his day. These included men like the educational reformer Pierre de la Ramée, astronomer Cyprianuis Leovitius, German historian and humanist Hieronymus Wolf, Philip Apianus, son of the famous author of Astronomicum Cæsareum, Pete Apianus and the German astronomer and the mayor of Augsburg Paul Hainzel and his brother Johannes Baptista Hainzel. 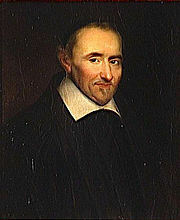 Image right of Petrus Ramus ( Pierre de la Ramée ) from Wikipedia. 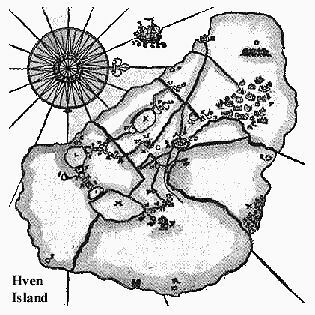 On November 11, 1572 Tycho was returning to his home when, looking up towards the constellation of Cassiopea he noticed a star where none had been before. 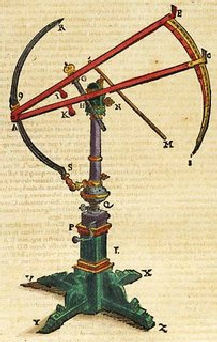 Since he had just completed construction of a new sextant instrument, which had a much higher degree of accuracy than earlier cross-staff devices, he was able to measure the distance of the new object with the device using the known stars within Cassiopea. For Tycho, the appearence of the new star was most portentous and for the rest of his life no other single event would be more influential in shaping his path and career. 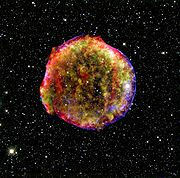 A further reason that nudged Tycho pass his reluctance to publish was the fact that the new star had also been observed by astronomers and astrologers alike, having been written about by many of the existing "scientific community" around Europe; several so badly in error of the stars position one wonders if they ever saw it at all. As these commentaries on the new star came to his attention, Tycho realized how far off the mark most were. The result of this conclusion was a strongly worded criticism of his contemporaries at the time, found in his preface to de Nova Stella, "O crassa ingenia. O caecos coeli spectatores" which translates to "Oh thick wits. Oh blind watchers of the sky"
de Nova Stella was initially printed in small quanities and saw little distribution (though it was well received by those to whom it mattered, gaining Tycho a measure of fame) until it was reprinted in at least two further works, a 1632 English printed translation of De nova stella titled Learned Tico Brahae his Astronomicall coniectur in which were added two additional images ( one shown above ) and a facsimile of which was produced in 1901, as a tercentenary tribute to the authors memory; the book is also responsible for having coined the term "nova" Image above of Supernova Remnant 1572 from NASA/MPIA/Calar Alto Observatory, Oliver Krause et al. Meanwhile, Tycho's personal life also changed during 1572. Together, Tycho and Kirstine would have eight children: Kirstine, Magdalene, Claus, Sophie, Elisabeth, Sidsel, Tyge and Jörgen. It was a union that seemed truely to have been for love, lasting almost thirty years and entered into against the advice of friends who felt it beneath a noble to be in such a relationship. 1. Dreyer also questions Tycho's decision to enroll at this particular university (Tycho Brahe, pp. 24-26) but reasons, with good cause, that the study of astrology, mathematics, alchemy and medicine were close enough to what Tycho required in pursuit of his goals to make going there worthwhile. 2. It is often mentioned that Tycho's nose was made of silver and gold and given his status and means, most appropriate. 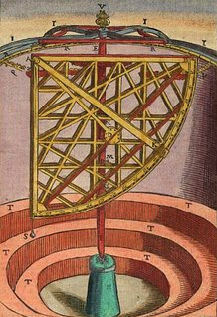 (see also Dreyer's Tycho Brahe, pp. 26-27 ). However, it is noted by some, such as Fredric Ihren and Cecil Adams ( see 22 & 23 below ) that the false nose also had copper. Ihren wrote that when Tycho's tomb was opened in 24 June 1901 green marks were found on his skull, suggesting copper. Cecil Adams also mentions this green colouring which was noted by the medical experts who examined the remains. Since copper is much lighter than gold and a tad less than silver one can only image the weight of a nose made solely of gold or silver. In a more light hearted writing on this subject, J. R Salling ( see 3 below ) notes: "Brahe was no peasant, nor did he ever think like one. I suspect he owned a nose for every occasion, which he glued into place with a temporary adhesive that he always carried with him. He made one himself of gold and silver but I have trouble imagining that he wore it often. Considering the weight, he must have feared it would pop off any time he laughed or sneezed, an especially embarrassing event at the table or at court." 3. Digit in astrophysics  used in expressing the amount of overlap of the Sun and the Moon in an eclipse. The "digit", as used herein, is equal to half the length of the apparent diameter, given that the two objects being virtually the same apparent size from Earth. Unless otherwise noted images displayed on the right side of page and credited as ImgBibCC are from BibliOdyssey: Tycho Mechanica Friday, February 24, 2006, Creative Commons 2.5 Usage License & Terms All images credited as "ImgBibCC" are from the BibliOdyssey: Tycho Mechanica web page and reproduced here under the Creative Commons 2.5 terms above. Excluding the resizing of images, they have been posted here in their original format. Copyright and other restrictions may apply. Occultism & Parapsychology Encyclopedia: Tycho Brahe Tycho Brahe: Biography from Answers.com, Copyright © 2009 Answers Corporation. Tycho Brahe's Nose And The Story Of His Pet Moose from a translation from Gassendi. 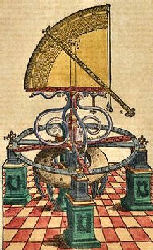 Page is maintained by Fredric Ihren as a part of Tycho Brahes Glada Vänner, a Tycho Brahe society. Tycho Brahe: Biography from Answers.com. Compilation of reference sources from who2 Biography, Britannica Concise Encyclopedia, Columbia Encyclopedia, Occultism & Parapsychology Encyclopedia etc.